Preserving Canada’s history is of great importance to our Government, and as a result, there are very strict guidelines around how and when companies can dig into the ground. This includes utility companies who are expanding underground, and real estate developers who are building new housing projects. When these clients dig in an area that has been deemed to hold historically significant items, they need to hire an archaeology company to come out and unearth any artifacts hidden below the surface. When under a deadline, these archaeologists often need to work around the clock and that means working through inclement weather. 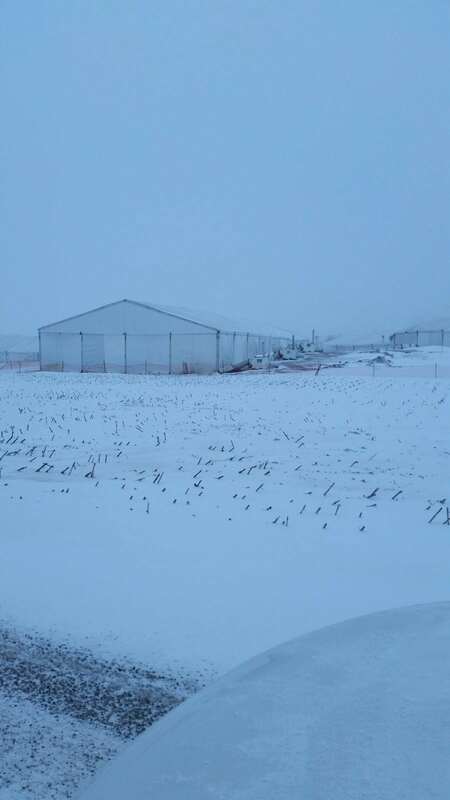 Regal Tent Productions often partners with these companies and archaeology firms to provide heated, reinforced tent structures for the purpose of winter digging. 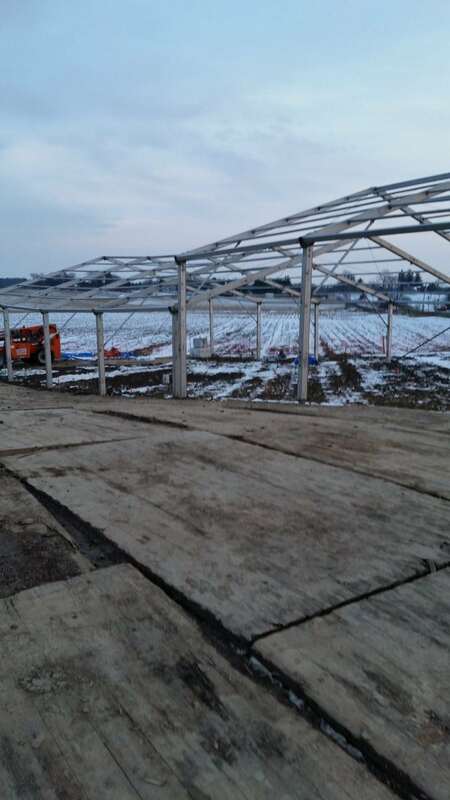 Digging through the winter can be next to impossible without a way to maintain ground conditions, so erecting a tent that is heated and brightly lit provides a workable solution for companies that need to dig through the winter months. 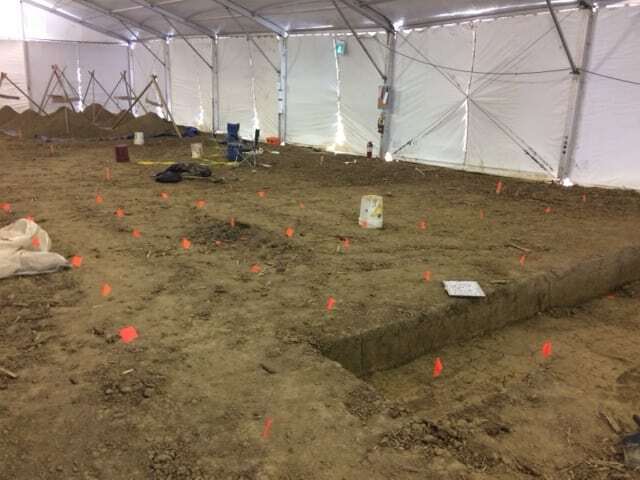 Earlier this year we worked on a site with Enbridge Gas where we provided two 20m x 45m and one 15m x 45m Clearspan tents for their archaeological teams to work under over a four month period. 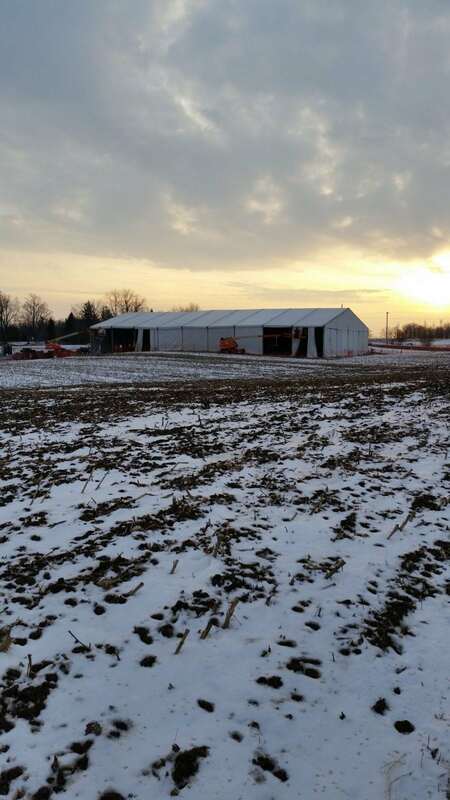 Working under these tents from January through April allowed our client to keep their project going over the winter months, which avoided delays to their pipeline installation. 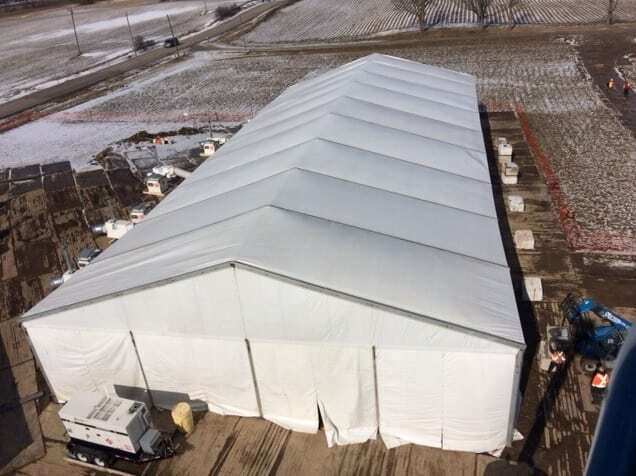 At Regal, we offer tents of all sizes to our customers, including the largest tent for rent in North America – a 60m wide (that’s almost 200 feet!) Clearspan structure. 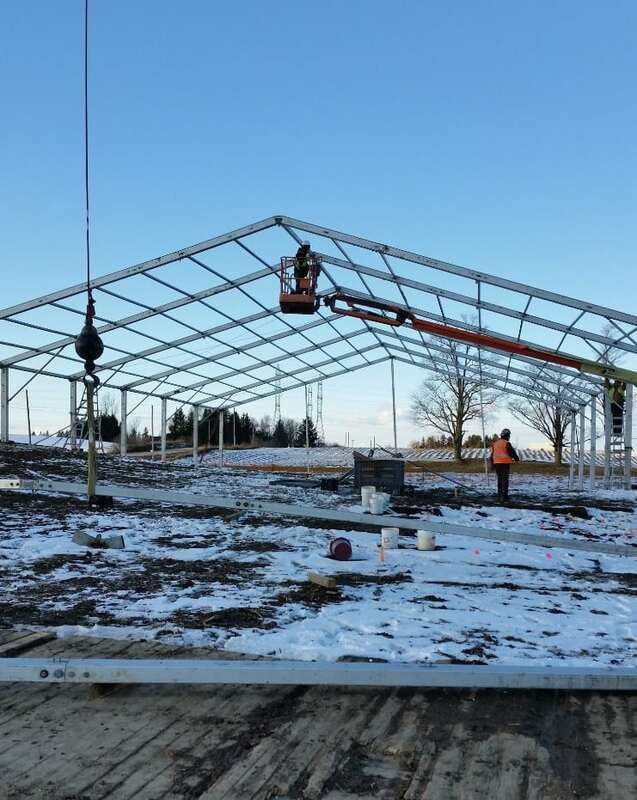 Because of our massive inventory, we also carry heavy duty tent frame which comes in handy when we’re installing tents that will sustain storms and heavy winds. 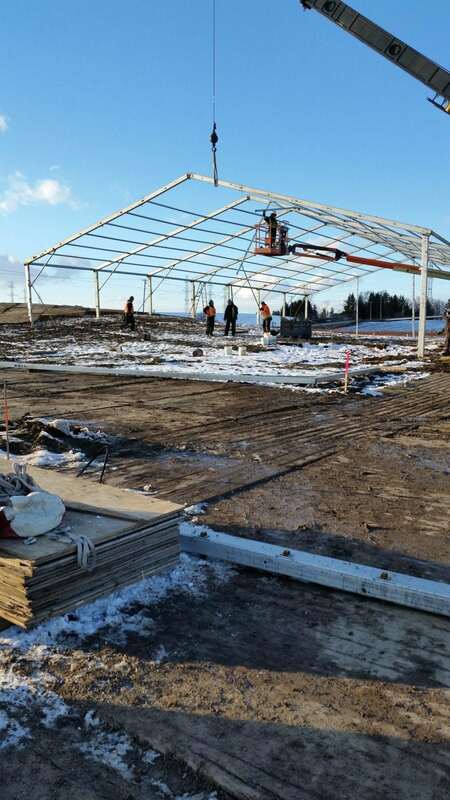 We also reinforce our tents with extra materials that help manage heavier roof loads through the winter, and provide industrial strength heaters so that the interior remains acclimatized – we’re truly a one stop shop for your winter tenting needs! 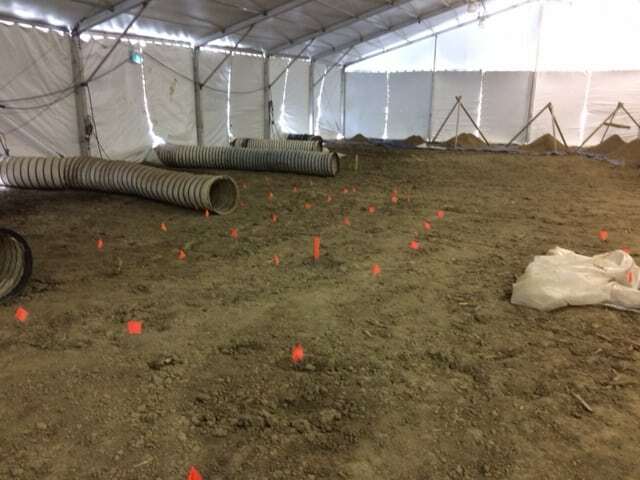 If you would like more information about how we can help your archaeological company take on winter work, or about how our tents can sustain the Canadian winter, please don’t hesitate to reach out to us by clicking here! We would love to learn more about your company, and any upcoming projects you may be working on. Our knowledge of the industry, and our past work with other archaeological firms and the Ministry make us an ideal partner for any digging job you may have!